Follow RT for recent news and articles on Rodrigo Duterte, president of the Philippines. His domestic policy is based on tackling drug trafficking. 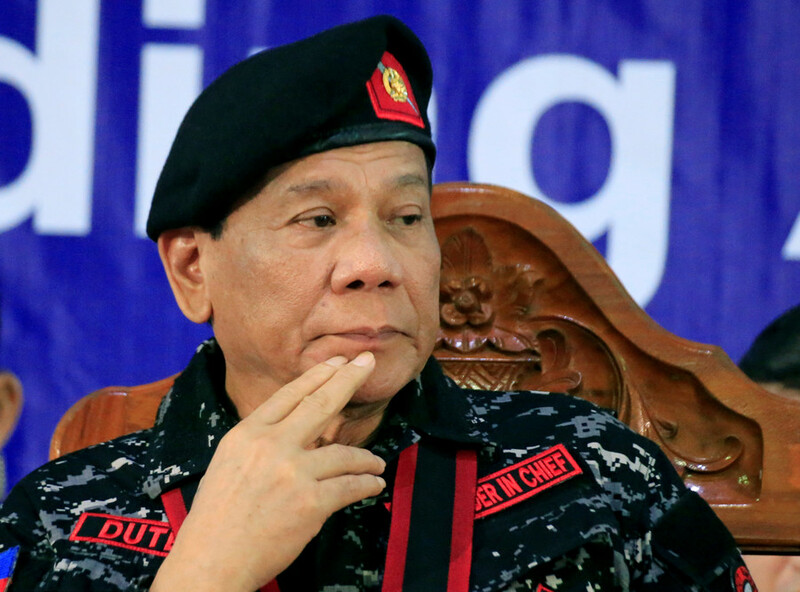 Duterte is a controversial political figure and has been condemned for violating human rights, as he’s been trying to reduce crime by killing perpetrators. Get news and updates on the Philippines’ drug war initiated by Rodrigo Duterte in 2016. The UN has condemned Rodrigo Duterte’s policies, and Duterte responded by promising to withdraw the Philippines from the UN, building closer ties with China and Russia. Rodrigo Duterte has been making contradictory statements and public speeches. Don’t miss the most recent news and updates on his public appearances and online statements. Manila seeks to maintain close ties with Beijing despite any potential tensions in the disputed South China Sea, President Duterte said, emphasizing that the Philippines and China have no issues that can’t be resolved politically. God created penises and vaginas, and all those stupid priests who arrogantly think they can suppress their basic instincts are a threat to women, the Philippines President claimed, in his latest tirade against the Catholic church. The Philippines will not legalize medical marijuana because recreational users will likely abuse the legislation to grow and smoke it, Rodrigo Duterte stated, admitting that he had not read any scientific studies on the herb. The Catholic Church must embrace homosexual kinship among the clergy, Philippines leader Rodrigo Duterte has said in his latest attack on the Vatican… just after calling on the population to rob and even kill “useless” bishops.